CPChain cannot emphasis Research & Development enough. We are glad to share some good news with you regarding the PDash DApp. We have made substantial progress on a recent development. In the past month, our engineers have worked arduously fixing bugs and consolidating new features. Last week, we finally unveiled PDash. This debut solidifies our position in the vast streaming market. PDash supports the sharing of real-time data aggregated from various IoT devices. Apart from PDash, we have also witnessed massive achievements in chain development. To accompany the release of the alpha mainnet, we are working tirelessly on a dedicated chain explorer to more vividly depict the ongoing chain status, such as transactions and RNode information. With regard to the chain itself, we have fixed several obscure bugs and are working on the transition to a more robust BFT (Byzantine Fault Tolerant) implementation. Specifically, we introduced primitive smart support to accelerate contract execution; we adjusted the reputation and admissions contract to allow for more realistic scenarios; we revamped the PBFT (Practical Byzantine Fault Tolerant) handling to make the network more robust. Private Transaction / Data Privacy Mechanism. Private transaction is the mechanism deployed by the CPChain main chain. 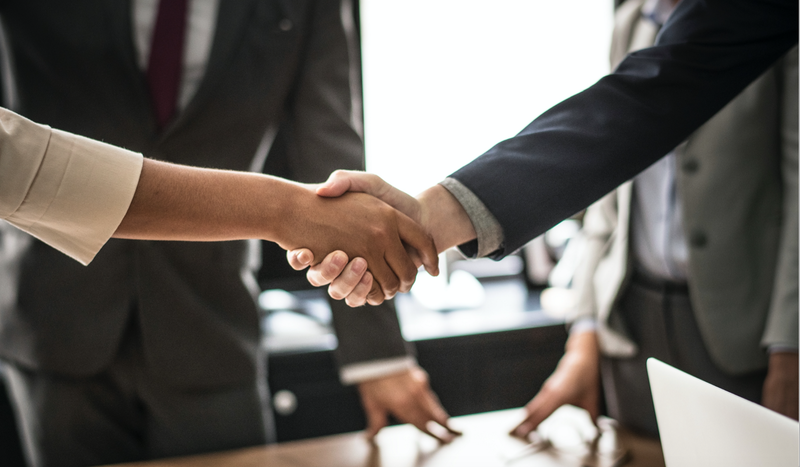 Sellers and buyers perform a transaction with a proxy witness, and all the trade-related information and data will be encrypted. Furthermore, a private contract will be used to protect the entire transaction and to prevent outside detection while saving records on the chain. Admission Control. Safety and sustainability of Reputation Value Assessment Procedure (RVAP) is the prerequisite of the committee election and hardware standard setting. Hereby, admission control is required to automatically check and filter non-eligible nodes so that the chain can operate in an efficient and healthy manner. Admission control involves several items, including CPU auto-check, memory, algorithm, contract verification, etc. Facilities. We updated the API and the system, and used gRPC (Google Remote Procedure Call) to provide interface methods. The API can be used to provide customized service and improve interface with CPChain. Committee Node. Design the concept of Committee Node, finish block generation and verification, and achieve a higher block generation rate. In short, after passing reputation evaluation and regular election, and becoming a Reputation Node, it is necessary to create a Committee Node. PDash. On October 31, 2018, CPChain’s IoT data sharing platform, PDash, open sourced for the second time on Github. We also have a video tutorial to illustrate how to use PDash. We plan to arrange an alpha test within the community in January 2019. More details are coming soon. After thorough consideration and discussion, we decided to move the release date of the main chain. The alpha version will be released in December 2018, and the final stable version will be launched at the end of March in 2019. LTO is a blockchain tool that can establish a trustless workflow. Companies and governments can create solutions using the LTO Network, work in a transparent, secure and decentralized manner, protect privacy, and comply with GDPR while equalizing collaboration. 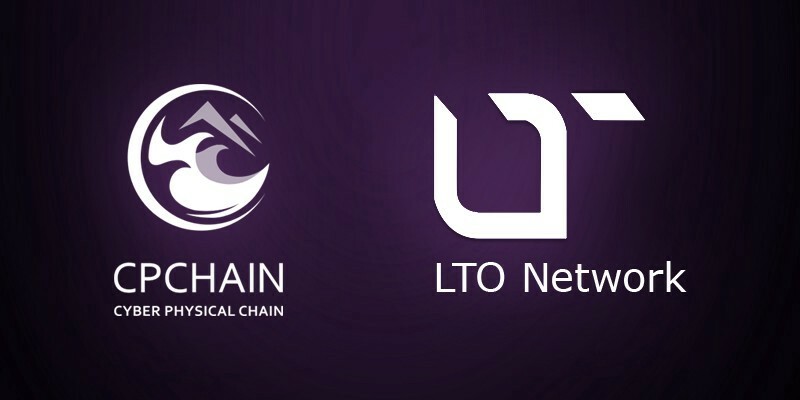 The LTO Network is focused on B2B fundamental construction, and aims to automate blockchain workflow and contracts. CPChain is working on the value transmission of IoT fundamental facilities and physical system value. Cooperation between CPChain and LTO will contribute to a better ecosystem and solution. 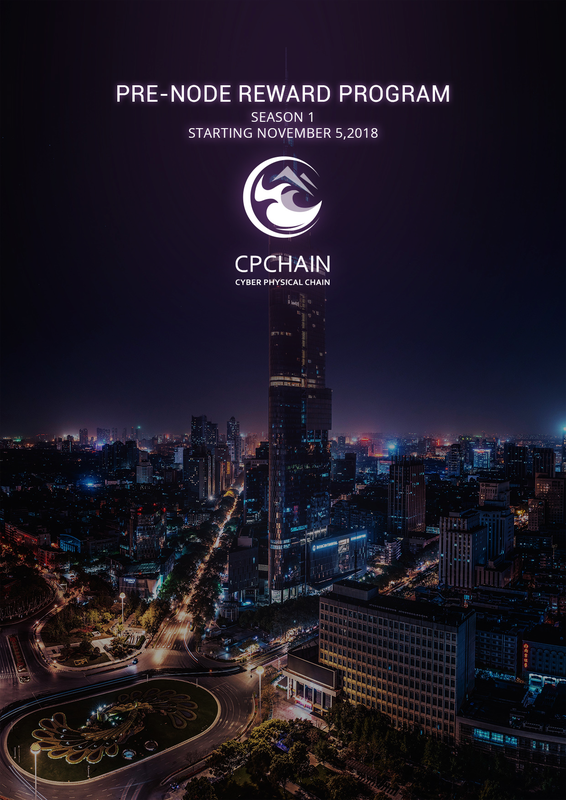 CPChain is looking forward to expanding its operations in Asia and Europe. 1. Promote the use of quantum private key among blockchains. 2. Promote post-quantum algorithm research through ArQit’s work. Income obtained from the collaboration will be used for related research. 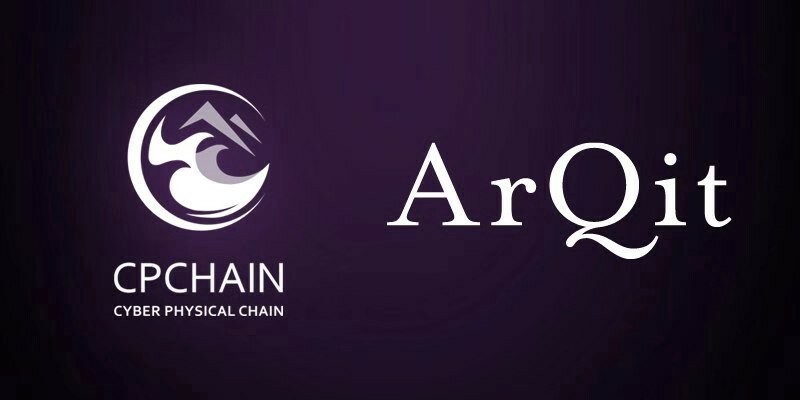 In the future, CPChain will work closely with ArQit, let blockchain meets quantum and move technology and human beings forward. The Reward Program is for the community. Applicants with more than 20,000 CPC holding and which are willing to lock up for 45 days will be rewarded. 616438 CPC will be rewarded on a pro-rata basis to qualifying addresses who register and meet the minimum node size. CPChain held an AMA regarding the main chain. The community raised many valuable questions in regard to the main chain, DApp and equipment requirements. We answered each of these questions thoroughly and clearly. 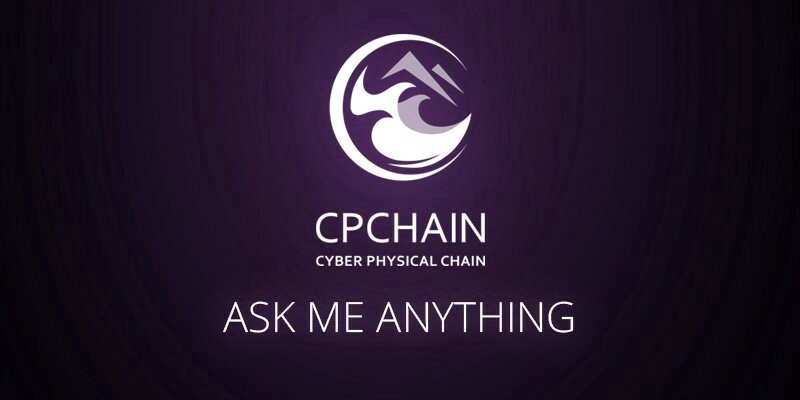 Please refer to https://medium.com/@cpchain/cpchain-ama-mainnet-version-fdc43c876a46 for a closer reading. China Crypto News. China Crypto News interviewed Dr. Long Chengnian on November 8, 2018, in which Dr. Long explained how blockchain technology could profoundly change industries like cars and medicine. Smart City Video. The smart city video was recently released, and it concerned CPChain application in a smart city: Specifically, how to promote transparent and secure energy trades among different areas, how to lower transportation costs of garbage trucks, and overall, how to have a positive influence on the future of city life. Alex SHI. Go engineer. Alex graduated from Fudan University. He then received his master’s degree from Nanyang Technological University (NTU) in Singapore. He has been granted a First-Class Scholarship more than once, and has conducted extensive research on social network data. Jiajing WU. Python engineer. Jiajing obtained his degree from Central South University. He is in charge of the CPChain website and explorer developing. CPChain Attended IoT Solutions World Congress. IoT Solutions World Congress was held in Barcelona, Spain, October 16–18, 2018. To learn more about the IoT industry updates, and construct an IoT ecosystem, CPChain had a marketing director and a senior engineer from onshore team, and a Global Ambassador based in Europe, attended the conference. At the technology panel, CPChain discussed blockchain technology and solutions with other attendants, regarding smart transportation, smart medical, smart manufacturing, etc. We are expected to strengthen our relationships with some of these enterprises. 36Kr Roadshow. CPChain attended a roadshow held by China Association for Science and Technology, 36Kr (a famous technological media in China) on October 18. CPChain’s CTO, Dr. Zhao Bin, gave a speech during the roadshow in which he introduced CPChain’s applicable business application and the programs we are currently working on. Key Opinion Leader (KOL) Visits. Two famous reputational YouTubers, @CryptoShillNye and @DigitalLawrence visited the CPChain Shanghai office on October 17. We had a profound conversation with them, and they showed their supports to CPChain. Slife Session 2: Blockchain Salon. The founder of CPChain, Dr. Long Chengnian presented the panel and gave a presentation entitled, “Side chain and application”. The audience’s feedback to Dr. Long’s speech was positive. MeetUp with Mr. Ballinger, MOBI’s CEO in LA. 2. MeetUp with Everpedia, Unification and Chromapolis. Above is Community Update 7.0 for CPChain. Please continue to follow our social media for community announcements.